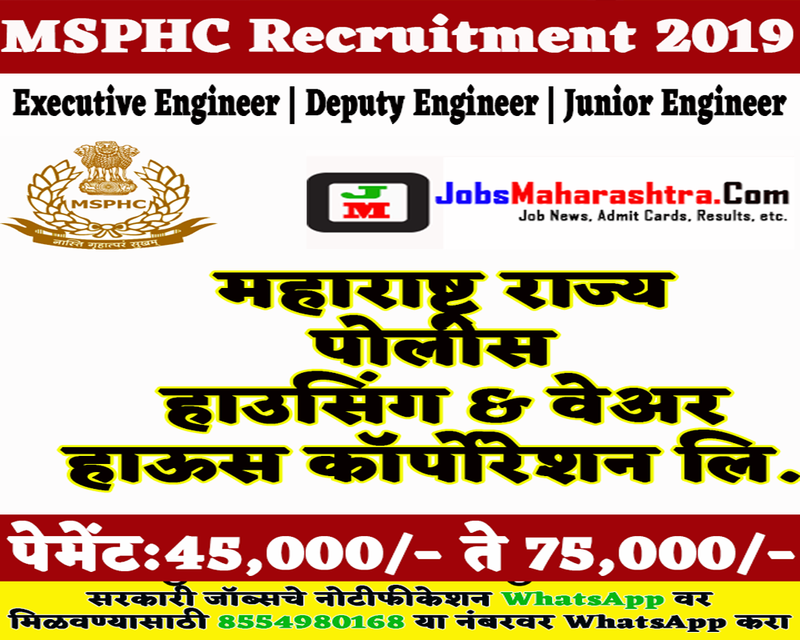 Maharashtra State Police Housing & Warehouse Corporation Ltd., Mumbai (MSPHC) invited applications for Executive Engineer, Deputy Engineer, Junior Engineer Posts. Interested and Eligible candidates who wants to apply for these posts kindly submit/send their applications by post/by hand along with attested copies of certificates/testimonials on below given address before 30 January 2019. For more details like age limit, salary, how to apply, selection process please refer the below article. Rs. 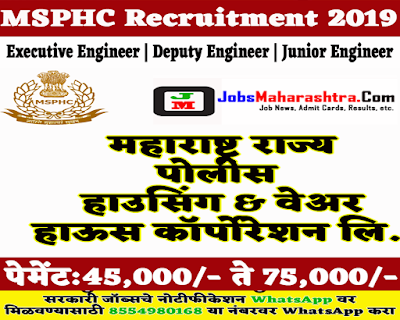 75,000/- per month for Executive Engineer for Deputy Engineer Rs. 60,000/- and Junior Engineer Rs. 45,000/- per month payable as a salary. Candidates will be selected under the Interview process for this post. Date of interview will be intimated to all shortlisted candidates. Please check the all details of selection process & applying process before submit application form.